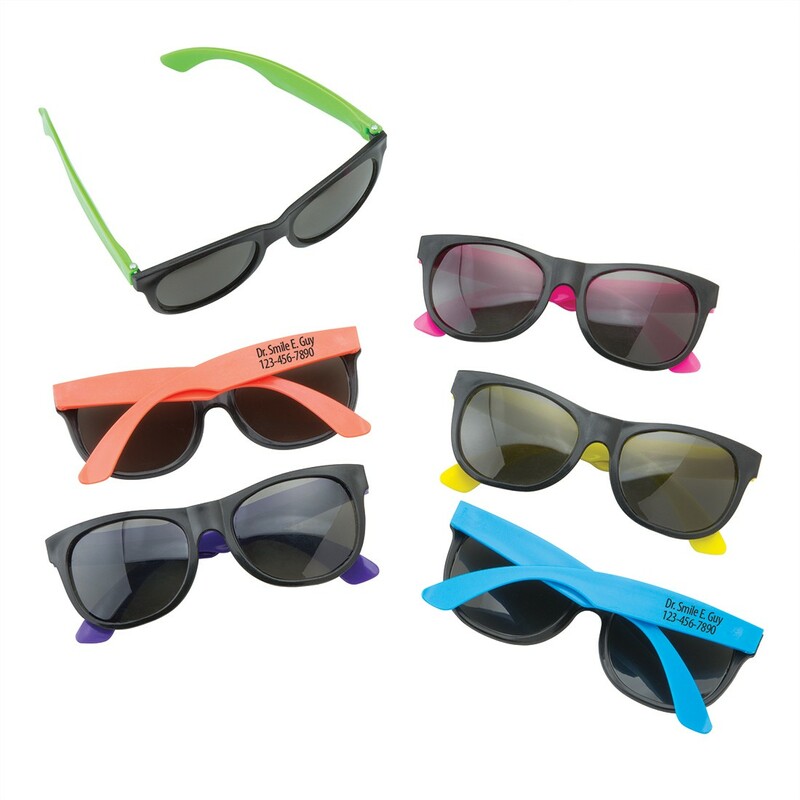 A practical exam room supply that doubles as a promotional patient giveaway! 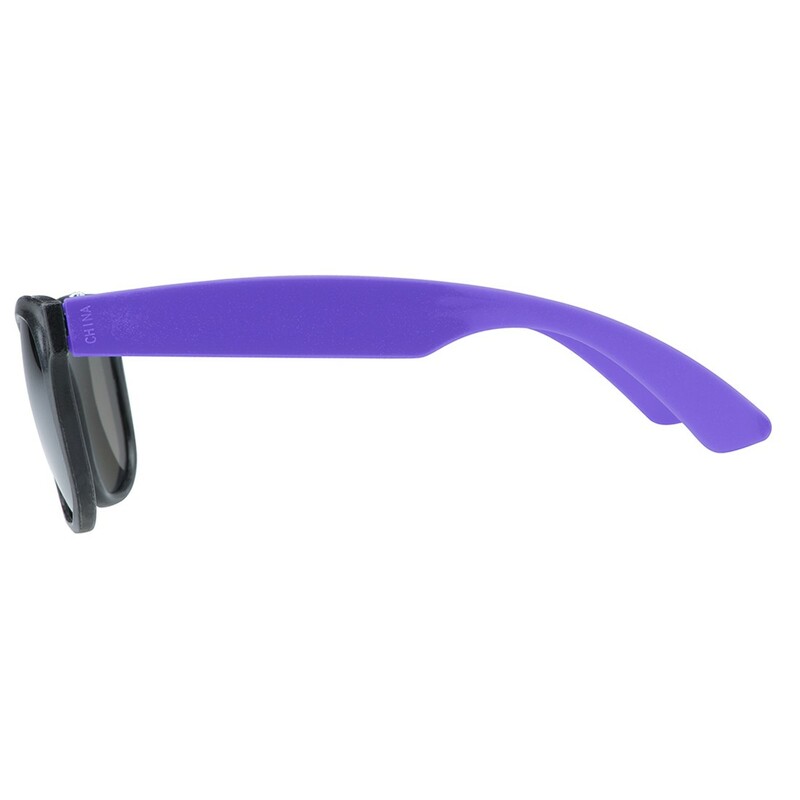 Guard little eyes from bright exam lights with these cool toy shades. 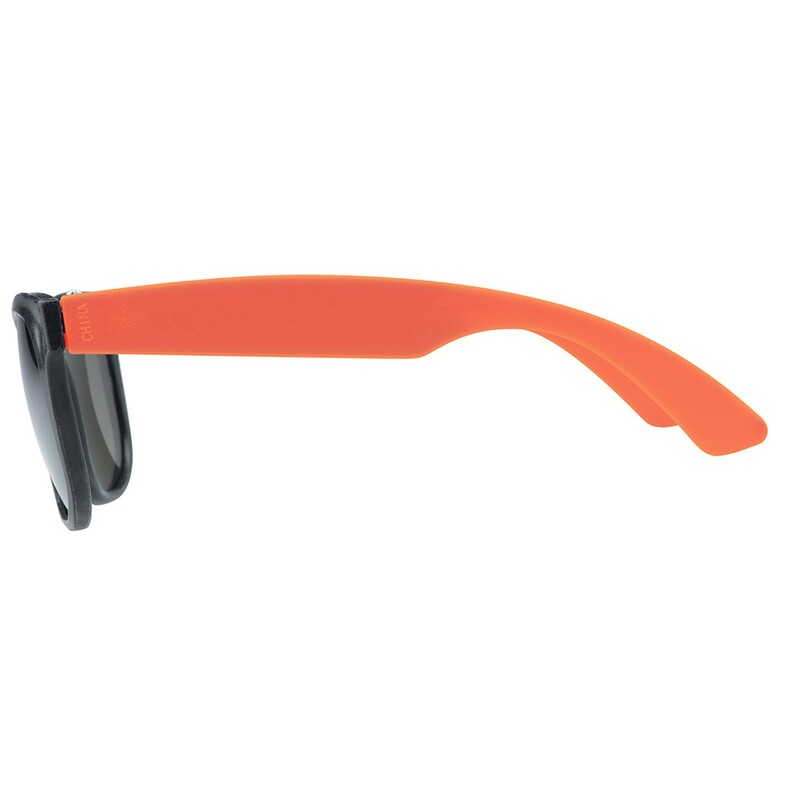 These black, plastic frames feature tinted lenses and bright colored ear pieces. Includes an assortment of colors so every patient can choose their favorite. Add your practice name and phone number in black imprint. Ships within 3 weeks after imprint approval. Imprint area is 1 11/16" x 3/8"
Features an assortment of colors: purple, pink, orange, green, yellow and blue. Order will ship within 3 weeks.